Fifteen-year-olds Hunter Heck and Savannah Broadus won their first ITF Junior Circuit titles today at the Grade 5 in Austin Texas, and for the unseeded Broadus she managed that in the first ITF Junior tournament she's ever played. Broadus, a Texan who got into the main draw by virtue of her national ranking, beat the only two seeds she faced prior to the semifinals, then took out unseeded 13-year-old Elaine Chervinsky in the semifinals 7-5, 4-6, 6-1 and in the final, unseeded Carmen Corley in another three-setter 6-2, 2-6, 6-0. The 12th-seeded Heck, from Minnesota, claimed his title with a 6-4, 6-2 win over No. 8 seed Yeudy Villar of the Dominican Republic, after beating No. 2 seed Stefan Leustian 6-2, 6-3 in the semifinals. The boys doubles title went to No. 6 seeds Leighton Allen and Marcus McDaniel, who beat brothers Alexander and John Bernard, the No. 3 seeds, 6-4, 6-3 in the final. The No. 6 seeds also won the girls doubles title in Austin, with Madison Kim and Elizabeth Stevens beating unseeded Robin Montgomery and Katrina Scott 6-3, 6-1. 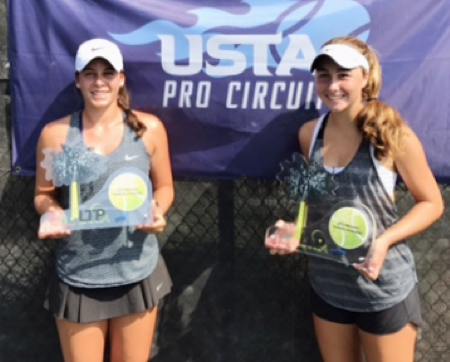 The doubles title at the $15,000 USTA Women's Pro Circuit event in Charleston South Carolina belongs to 16-year-old locals Emma Navarro and Chloe Beck, who defeated University of Central Florida freshmen Ksenia Kuznetsova of Russia and Maria Martinez of Spain 6-1, 6-4 in today's final. The unseeded Navarro and Beck, who won the USTA 16s Clay Courts title last year, beat two seeded teams, including No. 1, en route to the championship. For more on their win, see this article from James Beck for The Post and Courier. The singles final will feature Washington State freshman Michaela Bayerlova of the Czech Republic, the No. 5 seed, against top seed Montserrat Gonzalez of Paraguay. At the $15,000 USTA men's Futures in Fountain Valley California, Ryan Shane(Virginia) will go for his second straight title against Ronnie Schneider(North Carolina), who reached his first pro final with a 6-3, 6-4 win over Igor Marcondes of Brazil. No. 5 seed Shane got his third win in four tries against Henry Craig(Denver), posting a 6-3, 2-6, 6-4 win after beating Craig in straight sets in last week's final. For quotes on their victories from both Shane and Schneider, see this article for tournament press aide Joel Beers. The singles final at $100,000 ATP Challenger in Tiburon will feature No. 2 seed Tennys Sandgren(Tennessee) against Great Britain's Cameron Norrie(TCU), the No. 8 seed. Sandgren defeated Mackenzie McDonald(UCLA) 7-6(4), 7-6(3), while Norrie beat unseeded Prajnesh Gunneswaran of India 6-3, 6-2. Usue Arconada had defeated top seed and defending champion Danielle Collins(Virginia) in the quarterfinals, but she fell in today's semifinal at the $25,000 tournament in Stillwater Oklahoma. Fifth seed Arconada lost to Aleksandra Wozniack of Canada, the No. 8 seed, 1-6, 6-2, 7-5. Wozniack will face No. 2 seed Maria Bouzkova of the Czech Republic in the final. Top seeds Caitlin Whoriskey(Tennessee) and Serbia's Jovana Jaksic won the doubles title, beating Great Britain's Harriet Dart and Belgium's An-Sophie Mestach, the No. 2 seeds, 4-6, 6-4, 10-3 in the final. No. 8 seed Jamie Loeb(North Carolina) advanced to the final of the $60,000 tournament in Templeton California, beating No. 5 seed Taylor Townsend 6-4, 6-7(7), 7-6(6) in a three-hour and one-minute marathon. She will face No. 4 seed Sachia Vickery, who defeated top seed Victorija Golubic of Switzerland 4-6, 7-6(3), 6-3. Earlier this month at the US Open, I had an opportunity to sit down with former University of Virginia men's head coach Brian Boland, who recently took over the position of USTA head of men's tennis from Jay Berger. I have known Boland since I began covering college tennis in 2005, and watched as the Cavaliers became one of the elite programs in Division I tennis during his 16 years. I spoke with Boland about college tennis at length in this interview for the Tennis Recruiting Network back in 2010, and talked with Boland's former assistant Tony Bresky about building his program at Wake Forest for this Tennis Recruiting Network article last year. While those two conversations obviously focused on building college programs, this one centered on Boland's plan for not for a school but for a nation of tennis players, a challenge he says he relishes. I wouldn't have taken a job I thought I had all the answers for; I wanted a challenge, so I certainly have to lean on others to support this process. For Boland's thoughts on the college tennis pathway, what the goals of American men should be, the experiments with formats underway in the sport and many other topics, read the entire article here. The pre-qualifying draws for the upcoming ITA All-American Championships have been released, with both men's and women's matches beginning on Saturday. Notable women's participants in the pre-qualifying draw in Pacific Palisades California tournament include USTA girls 18s finalist Kelly Chen of Duke, Alexandra Sanford of North Carolina, who won the Oracle Masters on Sunday, and Sophie Whittle of Gonzaga, who beat WTA No. 114 Francoise Abanda of Canada at the $60,000 tournament in Templeton California (Whittle lost to Great Britain's Laura Robson last night). With a 256-draw, the men's pre-qualifying in Tulsa is open to anyone who enters. Julian Zlobinsky, a recent transfer from Texas to Wake Forest who qualified and won a match at this month's ATP Challenger in Cary North Carolina, is in the pre-qualifying, as are freshmen Jacob Brumm(Cal), Roy Smith(Baylor), Andres Andrade(Florida) and Matthew Lord(Virginia). The ITA preview of the tournaments is available here. 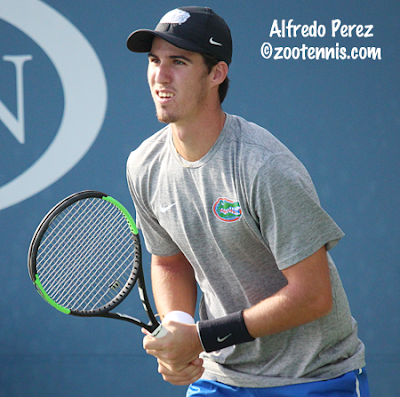 Three former American collegians are through to the semifinals of the $15,000 Futures in Fountain Valley California: Ryan Shane(Virginia), Henry Craig(Denver), and Ronnie Schneider(North Carolina). Last week's Futures champion Shane, the No. 5 seed, beat Belgium's Michael Geerts(Arizona State) 6-3, 6-4 and Craig outlasted qualifier Arthur Rinderknech of France(Texas A&M) 2-6, 7-6(4), 6-0. That means yet another meeting between Craig and Shane, who have already played three times this year in Futures tournaments, including in last week's final. Shane is 2-1 in the head-to-head. Schneider defeated No. 2 seed Benjamin Lock of Zimbabwe(Florida State)6-4, 7-6(3) and will face Brazil's Igor Ribeiro Marcondes, who beat qualifier Karue Sell of Brazil(UCLA), when Sell retired with a back injury. Due to Sell's injury, Schneider claimed his second consecutive doubles title, with he and Elliott Orkin(Florida) getting a walkover over Martin Redlicki(UCLA) and Sell in the final. Schneider and Shane won the doubles title last week in Laguna Niguel. For more on the semifinals at Fountain Valley, including comments from Shane and Schneider, see this article from tournament press aide Joel Beers. The USTA's method of selecting the four players to travel to the two major 14-and-under tournaments in Europe at the start of each year has varied, with playoffs frequently used, particularly for the boys. This year, two of the berths in the 2018 Les Petits As tournament in Tarbes France will be decided in an official Les Petits As competition, with 16 US girls and 16 US boys competing October 30-November 3 at the Club Med in Port St. Lucie Florida. Twelve of those participants were chosen via the August 16, 2017 USTA 14s rankings, with four wild cards also selected. More details about this inaugural event can be found at the Les Petits As website. 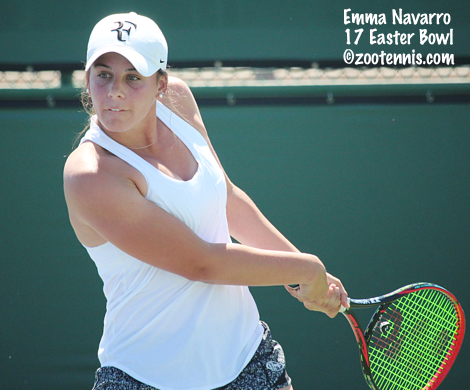 Sixteen-year-old wild card Emma Navarro, who has already verbally committed to Duke, has reached the quarterfinals in singles and the semifinals in doubles of her hometown tournament, the $15,000 USTA Pro Circuit event in Charleston South Carolina. Navarro, the 2017 16s Easter Bowl champion, won at 90-minute(!) first set over Texas sophomore Bianca Turati of Italy 7-5, then closed out the match with a 50-minute 6-1 set to reach her first pro quarterfinal. Navarro and Chloe Beck, another accomplished local junior, beat the top-seeded doubles team of Petra Januskova of Canada and Mara Schmidt 7-6(4), 6-3 to advance to the semifinals. For more on Navarro's win, with comments from her and her coach, see this article from James Beck at The Post and Courier. 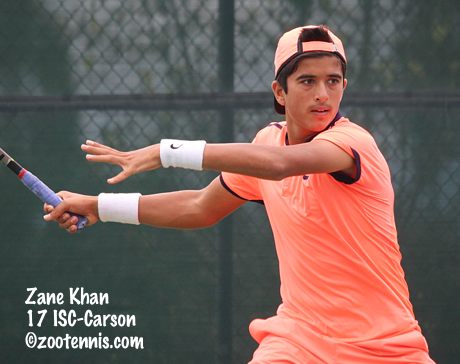 The semifinals are set at this week's ITF Grade 5 in Austin Texas, with four seeded boys, including three American 15-year-olds, advancing, while only seed remains among the four American girls still vying for the title. Marcus McDaniel will play 17-year-old Yeudy Villar of the Dominican Republic and Hunter Heck will face No. 2 seed Stefan Leustian. Eighteen-year-old Taylor Gruber, who has verbally committed to Missouri, will play 16-year-old Carmen Corley in the top half semifinal, with 13-year-old Elaine Chervinsky facing 15-year-old Savannah Broadus in the bottom half. At the ATP 250 in Chengdu China, qualifier Taylor Fritz defeated Georgia's Nikoloz Basilashvili 6-3, 3-6, 6-1 to move into the quarterfinals, joining Jared Donaldson. Fritz will play Guido Pella of Argentina, who upset top seed Dominic Thiem of Austria 7-6(6), 6-4. 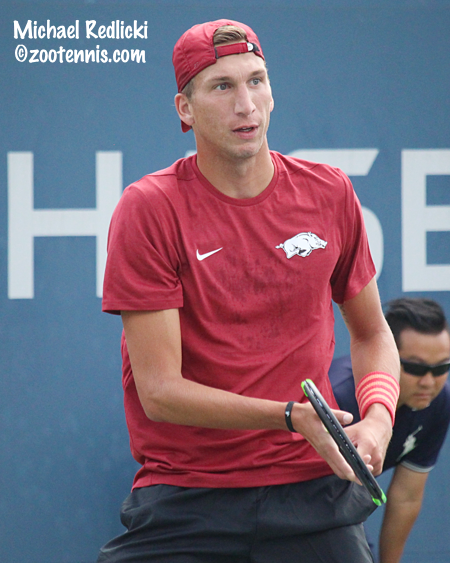 For more on Fritz's win, see the ATP website. At the ATP 250 in Shenzhen China, No. 8 seed Donald Young has advanced to the quarterfinals, where he will face No. 2 seed David Goffin of Belgium. The fields for the ITF Junior Masters next month in Chengdu China have been announced, with three US girls--Whitney Osuigwe, Sofia Sewing and Taylor Johnson--and one US boy--Trent Bryde--among the 16 competitors. The eight-player draws are divided into two groups with the top two finishers advancing to the semifinals. A total of $160,000 of travel grants will be awarded based on where the players finish in the competition. Both fields had to go 14 deep to get their eight participants. In the boys field, invitations were declined by Serbia's Miomir Kecmanovic, the 2016 ITF World Champion, Australian Open boys champion Zsombor Piros of Hungary, French Open boys champion Alexei Popyrin of Australia, Wimbledon boys champion Alejandro Davidovich Fokina of Spain, Yuta Shimizu of Japan and Corentin Moutet of France. 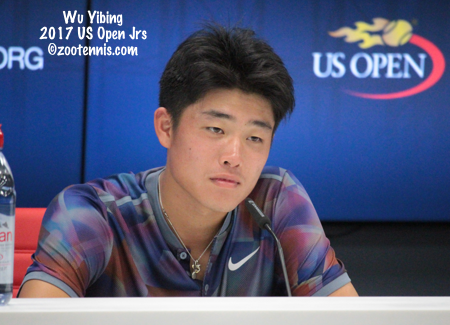 Wu Yibing of China, who won the US Open boys title earlier this month, is the only boys slam winner in the field. The girls have two slam champions in the field, Osuigwe(French) and Marta Kostyuk(Australia). Claire Liu(Wimbledon) and Amanda Anisimova(US Open) declined invitations, as did Canada's Carson Branstine, Olga Danilovic of Serbia, Emiliana Arango of Colombia and Simona Waltert of Switzerland. Local wild cards are not expected to challenge any of the players in the main draw of a $60,000 USTA Women's Pro Circuit event, but Sophie Whittle did not get the memo. The Gonzaga junior, who lives less than an hour south of Templeton, in Nipomo California, played her first pro match yesterday, in doubles. Today, Whittle shocked WTA 114 and No. 3 seed Francoise Abanda of Canada 6-2, 6-3, one of the most unlikely results of the year on the ITF Women's Pro Circuit. "I'm really happy," Whittle told Templeton tournament media aide Steve Pratt. "I think I played the best I've ever played, or at least the smartest I've ever played...She probably thought that she would roll over me, I don't have any ranking or anything, but I just knew that I could beat anyone if I just set my mind to it." Serving for the match at 6-2, 5-2, Whittle went up 40-0, but Abanda won five straight points to make it 5-3. Despite that disappointment, Whittle didn't flinch, earning another match point with Abanda serving at 3-5, 30-40 and converting it to complete the upset. Whittle, who is the first player from Gonzaga to earn an ITA ranking, will be competing in the pre-qualifying at the upcoming ITA Riviera All-American Championships in Pacific Palisades, unless, of course, her improbable success in Templeton continues. Jared Donaldson has continued to build on his impressive results this summer, reaching the quarterfinals of the ATP 250 in Chengdu with a 6-0, 1-6, 6-4 win over No. 6 seed Kyle Edmund of Great Britain. Donaldson, who turns 21 next month, plays Denis Istomin of Uzbekistan next. For more on Donaldson's win see the ATP website. I linked to a story a couple of days ago about Kaitlyn Christian and Vince Spadea and their roles as tennis doubles in the film Battle of the Sexes, which opens nationwide on Friday. Tennis Recruiting Network's Rhiannon Potkey has a much more detailed look at Christian's path to the silver screen: how she got the role, how much she was paid for it, what it was like working with Emma Stone, and many other interesting insider details. 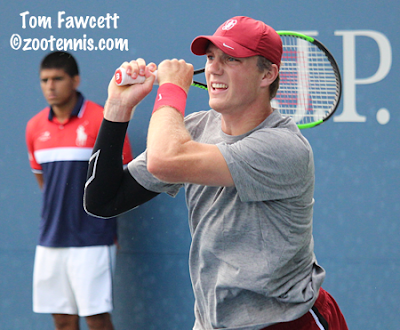 Currently 1228 in the ATP rankings, Stanford senior Tom Fawcett was a heavy underdog in his first round match at the $100,000 Tiburon Challenger today against top seed Ruben Bemelmans of Belgium, ranked 92. But the wild card didn't let that rankings disparity or the loss of the first set deter him, coming back for a 3-6, 6-3, 6-3 victory, with the help of 8 aces. It's not the first time Fawcett has faced a Top 100 player, having drawn top seed and No. 80 Dan Evans of Great Britain last year in the Aptos Challenger, which resulted in a 6-2, 6-2 loss. Fawcett hadn't beaten any player in the ATP Top 400 before today and he will face No. 346 Frank Dancevic of Canada in the second round, after Dancevic beat Alex Sarkissian 7-6(5), 6-4. I spoke with Fawcett after his win earlier this month at the American Collegiate Invitational at the US Open in this post last week. Bemelmans wasn't the only seed to fall today, with qualifier Deiton Baughman, ranked 708, defeating 17-year-old phenom Felix Auger-Aliassime of Canada 6-2, 6-2. Baughman converted 5 of 6 break points against the No. 7 seed, while facing only two himself. Auger-Aliassime, currently 162, is Baughman's best win by ranking, with his previous best coming in qualifying this week over No. 2 seed and ATP No. 219 Marcelo Arevalo of El Salvador. Live streaming of the tournament, with commentary by Mike Cation, is available at the USTA Pro Circuit site. 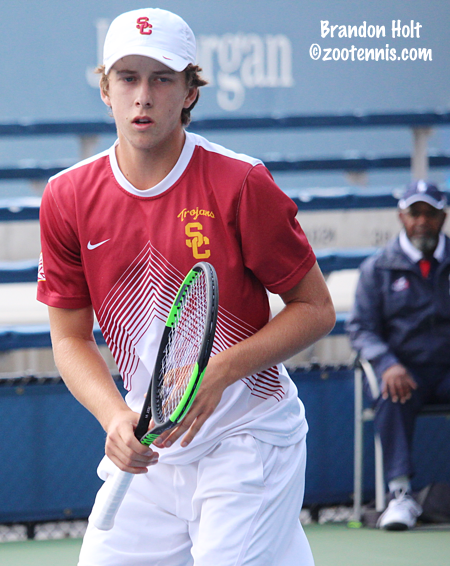 To the south, in Fountain Valley California, the top seed was also swept aside in the first round of the $15,000 Futures, with Arizona State newcomer Michael Geerts of Belgium beating Takanyi Garanganga of Zimbabwe 4-6, 6-3, 7-5 in exactly three hours. Patrick Kypson, Sam Riffice, Ronnie Schneider, Isaiah Strode and Oracle Masters champion Brandon Holt were American players advancing in first round action today. Three USTA Women's Pro Circuit events are being held this week, with a $15,000 tournament in Charleston South Carolina, a $25,000 tournament in Stillwater Oklahoma and a $60,000 tournament in Templeton California. Montserrat Gonzalez of Paraguay is the top seed in Charleston, and is one of only two Top 500 players in the draw. Wild cards were given to Jessica Livianu(St. Johns), local teenagers Emma Navarro and Chloe Beck and 14-year-old Alexandra Yepifanova. Although Yepifanova (plus Beck and Livianu) were beaten today, two other 14-year-olds will play their first round matches Wednesday, with Allie Gretkowski and Elvina Kalieva advancing through qualifying. In Stillwater, top seed Danielle Collins will be defending her title, with the wild cards going to Oklahoma State's Marina Guinart Espana, Vladica Babic, Sofia Blanco and Katarina Stresnakova. Nicole Mossmer is the only US junior to advance to the main draw through qualifying. In Templeton, Viktorija Golubic of Switzerland is the top seed, with Sonya Kenin seeded No. 2. Wild cards went to Quinn Gleason, Robin Anderson, Taylor Townsend and Gonzaga's Sophie Whittle. The four qualifiers are Russia's Alisa Kleybanova, who won last week in Lubbock, Elena Bovina of Russia, Anna Tatishvili and Sabrina Santamaria. A busy weekend in junior and college tennis is no excuse for neglecting juniors who won titles last weekend in places other than Canada, Hungary and Malibu. At the ITF Grade 5 in Nicaragua, Zane Khan collected his second consecutive title to run his winning streak to 10 in his first two tournaments since returning from injury. The 15-year-old, who was seeded No. 2, defeated top seed Alan Sau Franco of Mexico 6-1, 6-7(6), 6-2 in the final. Sau Franco and his partner Alfredo Casso, also of Mexico, won the doubles, with the top seeds beating No. 2 seeds Niroop Vallabhaneni and Guatemala's Juan Dominguez Collado 6-0, 6-4 in the championship match. Sixteen-year-old Haley Giavara swept the girls titles in the first ITF tournament of her junior career. The Californian, who was of course unseeded, won the singles title when No. 3 seed Dianela Rodriguez of Mexico retired in the final trailing 5-0. Giavara and Toni Nelson won the doubles title, beating top seeds Isabella Barrera Aguirre and Mexico's Claudia Rosas Garcia of Mexico 6-3, 6-3 in the final. At the ITF Grade 4 in South Africa, 15-year-old New Yorker Dakota Fordham swept the titles, earning her first singles title after three previous finals with a 6-4, 6-4 win over No. 4 seed Megan Basson of South Africa. Fordham was the No. 2 seed. In the doubles final, Fordham and South Africa's Maja Gledic, seeded No. 3, beating top seeds Linge Steenkamp and Lara Van der Merwe of South Africa 6-3, 6-3. This week the ITF junior circuit returns to the United States with a Grade 5 in Austin Texas. Joshua Bode and Chloe Hamlin are the top seeds. Late last night the $100,000+Hospitality ITF Women's Circuit tournament in Mexico concluded, with Irina Falconi beating No. 4 seed Louisa Chirico 7-5, 6-7(3), 6-1 in an all-American final. The former Georgia Tech star, who was not seeded, won her first title of the year and her first since claiming the title at the WTA tournament in Bogota last April. Caroline Dolehide won the doubles title with Maria Irigoyen of Argentina, with the top seeds defeating former USC teammates Kaitlyn Christian and Mexico's Giuliana Olmos, the No. 3 seeds, 6-4, 6-4 in the final. Dolehide is closing in on the Top 100 in doubles; the 19-year-old is now ranked 105. Speaking of Christian, she has been doing quite a few interviews lately with the opening (in most theaters nationwide Friday) of The Battle of the Sexes movie, featuring Emma Stone as Billie Jean King and Steve Carell as Bobby Riggs. (Easter Bowl and San Diego Hard Court Nationals tournament director Lorne Kuhle was a technical consultant on the film). Christian, 25, was Stone's stunt double for the tennis scenes, with former ATP pro Vince Spadea the stunt double for Carell. Christian, the 2013 NCAA doubles champion, is the rare contemporary player who resembles King in game style, but it was her similar body type to Stone that resulted in her casting. 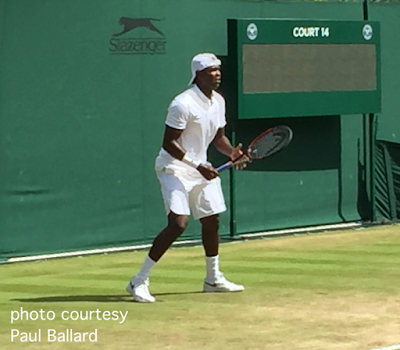 For more on what it was like to work as tennis doubles, see this article on ESPNW. 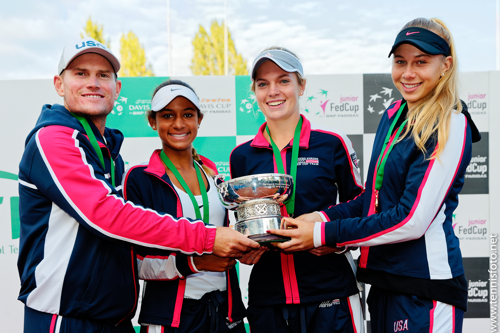 Both US teams trailed 1-0 today in the semifinals of the Junior Fed Cup and Junior Davis competition in a chilly Budapest Hungary, but both claimed No. 1 singles and the deciding doubles point to advance to Sunday's finals. US Open girls champion Amanda Anisimova did not play today for the top-seeded US girls, so French Open champion Whitney Osuigwe moved into the No. 1 position. After Caty McNally lost to Leylah Fernandez 6-4, 7-5 at No. 2 singles, Osuigwe had to win to keep US hopes alive, and she defeated Layne Sleeth 6-4, 6-2 to send the match to the deciding doubles. Osuigwe and McNally, who have played together often and reached the Wimbledon girls doubles final this year, beat Sleeth and Fernandez 6-3, 7-5 to send the USA girls into the final for the fourth consecutive year. They will face No. 2 seed Japan, who reached their first ever Junior Fed Cup final with a 2-1 win over Ukraine. Naho Sato, who beat McNally at the Grade 1 in College Park last month and may face her again on Sunday, won at No. 2 singles, but Marta Kostyuk of Ukraine won at No. 1 singles over Yuki Naito to send it to the deciding doubles. Sato and Naito won over Kostyuk and Alina Tsyurpalevych 6-3, 6-7(7), 10-3. 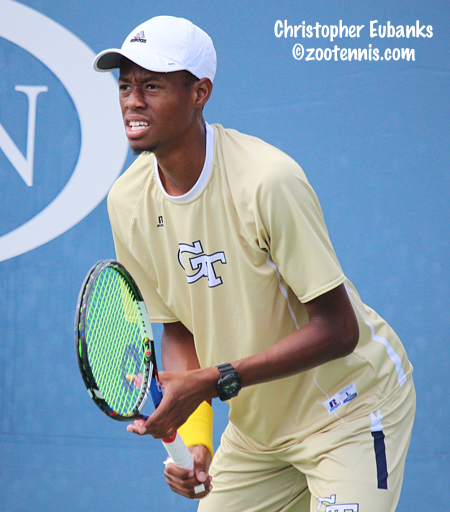 For more on the semifinals, see this article from the ITF website. The third-seeded US boys were in a similar position to the girls, but they actually were down a set and a break in the deciding doubles match against No. 2 seed Argentina. Will Grant lost to Juan Cerundolo 7-6(2), 7-5 at No. 2 singles, but Govind Nanda pulled the US even with a 6-1, 6-4 win over Thiago Tirante at No. 1 singles. Tirante and Alejo Lingua took the first set 6-3 and broke Tyler Zink to open the second set, but Nanda and Zink dominated the second set and closed out a 3-6, 6-2, 10-5 victory. The US boys, in the final for the first time since 2014, will face No. 1 seed Czech Republic in the final after they defeated No. 4 seed Croatia 2-0, with the doubles not necessary. For more on the semifinals, see this ITF website article, which features a great photo of Nanda and Zink celebrating their doubles win. Streaming is available for the finals, accessed through the ITF junior website. Two former college stars have advanced to the final of the $80,000 USTA Women's Pro Circuit event in Albuquerque New Mexico, with former USC star Maria Sanchez and former Michigan star Emina Bektas setting up an all-USA final. Sanchez defeated Sophie Chang 1-6, 6-3, 6-2 to advance to her first $80K final since 2012. Sanchez won the Albuquerque title that year. Bektas, three years younger that Sanchez at 24, will be making her first appearance in a Pro Circuit final above the $15,000 level after beating Sherazad Reix of France 6-3, 7-6(3). The live streaming that was to be offered for the tournament by the USTA was cancelled due to technical difficulties. Another all-US final between former collegians is set for the $15,000 Futures in Laguna Niguel, but that was guaranteed, with an all-US semifinal slate. No. 4 seed Ryan Shane, the 2015 NCAA champion while at Virgina, will face unseeded Henry Craig, who is playing his first full year on tour after graduating from Denver last year. 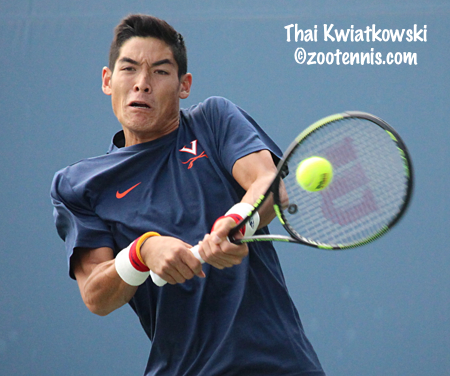 Shane defeated TCU senior Trevor Johnson 6-4, 6-2, while Craig downed former Virginia star Collin Altamirano 6-4, 6-4. Yesterday, Shane won the doubles title with former North Carolina standout Ronnie Schneider, beating Johnson and Patrick Kawka(BYU) 7-5, 6-2 in the final. At the $75,000 ATP Columbus Challenger, Dennis Novikov, the last American and last seed remaining was eliminated in the semifinals, with the No. 7 seed falling to Alexander Ward of Great Britain 6-1, 6-3. Ward will play alternate Ante Pavic of Croatia in the final, after Pavic beat Frank Dancevic of Canada 6-3, 7-5. Denis Kudla and former Tulane star Dominik Koepfer of Germany have advanced to the doubles final against Luke Bambridge of Great Britain and former Memphis standout David O'Hare of Ireland. At the $25,000 women's tournament in Lubbock Texas, unseeded Alisa Kleybanova of Russia defeated doubles partner Vicky Duval, the No. 3 seed, 6-3, 6-0 to win the singles title. The finals are set at the ITA Oracle Masters in Malibu, with Ena Shibahara of UCLA going for her second consecutive title in the women's tournament. The top seed defeated unseeded Lily Miyazaki of Oklahoma 7-6(6), 6-7(7), 6-2 to advance to the final, where she'll meet No. 6 seed Alexandra Sanford. The North Carolina freshman took out home favorite Mayar Ahmed of Pepperdine 6-3, 4-6, 6-4. The men's final will feature No. 2 seed Brandon Holt of Southern Cal against unseeded Victor Pham of Columbia. Holt defeated Johannes Schretter of Baylor 7-6(1), 6-0 and Pham surprised top seed Petros Chrysochos of Wake Forest 2-6, 7-6(5), 6-0. Holt and Shibahara will play the mixed doubles final this evening, against Schretter and Samantha Harris of Duke. Links to the draws, schedule and live streams are available at the ITA tournament page. Defending champion Ena Shibahara of UCLA reached the semifinals of the ITA Oracle Masters with two victories today in Malibu. The top seed defeated No. 8 seed Sara Daavettila of North Carolina 6-2, 4-6, 6-4 in the quarterfinals and also advanced to the mixed doubles semifinals with Brandon Holt of USC. Shibahara will face unseeded Lily Miyazaki of Oklahoma in Saturday's semifinals. The other semifinal features No. 6 seed Alexandra Sanford, the North Carolina freshman, against unseeded Mayar Ahmed of Pepperdine. Three of the top four seeds have advanced to the men's semifinals, with No. 4 seed Michael Geerts of Arizona State the only one failing to advance out of the quarterfinals. Top seed Petros Chrysochos of Wake Forest will face unseeded Victor Pham of Columbia in the top half of the draw, with No. 2 seed Brandon Holt of USC meeting No. 3 seed Johannes Schretter of Baylor. Pham beat two seeded players today, No. 5 Felipe Sarrasgue of Elon and Geerts. Lily Miyazaki(OU) def. Jessica Failla(PEPP) 3-6, 6-4, 3-0 ret. Draws, Saturday's schedule and links to live scoring and live streaming are available at the ITA tournament page. The mixed doubles semifinals have yet to be played tonight. A long day ended in Budapest with both teams from the United States moving into Saturday's semifinals at the ITF's Junior Davis Cup and Junior Fed Cup competitions. The top-seeded US girls defeated Italy 2-1, with the point lost by US Open girls champion Amanda Anisimova at No. 1 singles. Elisabetta Cocciaretto defeated Anisimova 6-2, 6-3, but Caty McNally and Whitney Osuigwe won the tiebreaking doubles match from Cocciaretto and Federica Rossi 6-0, 7-6(4) to give the US the win and the top spot in round robin Group A. The US will face unseeded Canada in the semifinals, who beat Hungary 2-1 to finish tied with Russia, the No. 3 seed, at the top spot in Group B. But because it was a two-way tie at the top, head-to-head is the first tiebreaker and Canada had beaten Russia 2-1 in the previous round, so they advance, despite having won only 11 sets, while losing 13. Russia had won 16 and lost 7. Maybe it's worth mentioning only because of hindsight, but when I saw that Canada wasn't seeded, I was surprised; they have a good team, and the US will need to play well to beat them Saturday. The other semifinal features No. 2 Japan and No. 4 Ukraine, both of whom were 3-0 in their groups. Like the Canadian girls, the third-seeded US boys had to advance via the tiebreak protocol, with Hungary, Australia and the US all 2-1. With three teams, the first tiebreaker is matches won, which for the US was 7, after their 3-0 shutout of Australia today. Hungary won 6 and Australia won 5, so the US advances. They will play No. 2 seed Argentina, while the other semifinal features No. 1 seed Czech Republic and No. 4 seed Croatia. Croatia also advanced via a tiebreaker with 7 matches won, while Taiwan and Brazil had 6 and 5. All scores can be found at the tournament website. The ITF Grade 2 in Canada finished today, with top-seeded Americans Trey Hilderbrand and Natasha Subhash taking the titles. Hilderbrand defeated unseeded Vikash Singh of India 6-2, 6-4, while Subhash beat No. 4 seed Elli Mandlik 7-5, 6-1 in an all-US final. Subhash also won the doubles title, with Lea Ma. The top seeds defeated unseeded Ariana Arseneault of Canada and McCartney Kessler 6-4, 6-1 in the final. The US got a sweep of all the titles this week, with unseeded Tomas Kopczynski and Mark Mandlik (Elli's twin brother) beating unseeded Stefan Leustian and Emilio Nava 6-7(4), 7-6(4), 11-9 in another all-US final. Vicky Duval, who is back competing regularly after her Hodgkin's Lymphoma and other injury and health issues, is in her first Pro Circuit final since 2014 at the $25,000 tournament in Lubbock Texas. The third-seeded Duval defeated top seed Harriet Dart of Great Britain 7-6(5), 6-2 and will face her doubles partner and fellow Hodgkin's Lymphoma survivor Alisa Kleybanova of Russia in the final. The unseeded Kleybanova defeated USC senior Gabby Smith, a qualifier, 6-4, 6-3. Duval and Kleybanova won the doubles title this afternoon, beating No. 2 seeds Karman Thandi of India and Ana Veselinovic of Montenegro 2-6, 6-4 10-8. 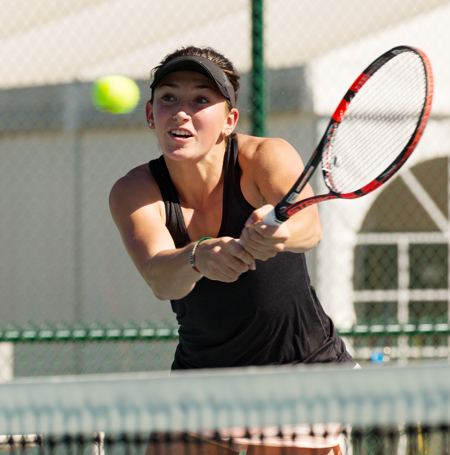 The $80,000 women's event in Albuquerque New Mexico has its semifinal on Saturday, with no seeds remaining after former University of Michigan star Emina Bektas defeated No. 8 seed Sesil Karatantcheva of Bulgaria 6-4, 6-7(4), 6-4. Bektas will face Sherazad Reix of France in the bottom half semifinal. The top half semifinal is all-US, with Maria Sanchez playing Sophie Chang. 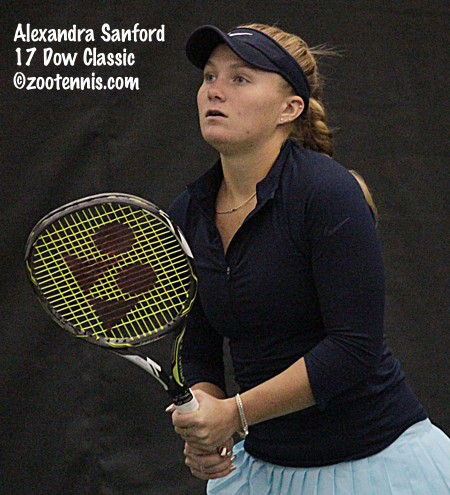 Sanchez beat wild card Sanaz Marand 6-1, 7-6(3) and Chang defeated Jovana Jaksic of Serbia 6-3, 6-3. The $75,000 ATP Columbus Challenger has just one American in the semifinals, with Dennis Novikov beating top seed Quentin Halys of France 6-1, 2-6, 6-4 to advance. He will face unseeded Alexander Ward of Great Britain, who beat Denis Kudla 3-6, 6-4, 6-2. The other semifinal features Frank Dancevic of Canada and alternate Ante Pavic of Croatia. At the $15,000 Futures in Laguna Niguel California, all four semifinalist are current or former collegians from the United States. TCU senior Trevor Johnson, a qualifier, had never earned an ATP point before this week, but today he beat top seed Takanyi Garanganga of Zimbabwe 6-4, 6-3 to advance to Saturday's semifinals, where he'll play No. 4 seed Ryan Shane(Virginia). Shane defeated No. 8 seed Jumpei Yamasaki of Japan 6-3, 6-2. The other semifinal will feature Colin Altamirano, who will not be returning to Virginia for his senior year, against Henry Craig(Denver). 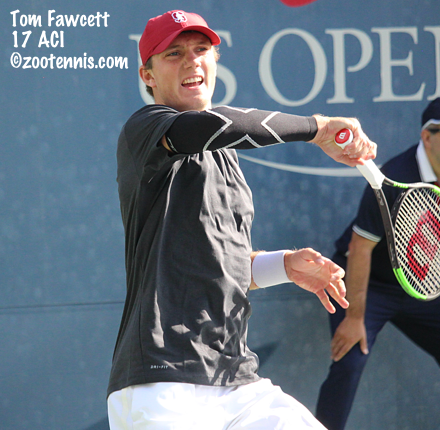 Altamirano downed wild card Tom Fawcett(Stanford) 6-1, 6-2, while Craig beat Hunter Callahan(Ohio State) 6-3, 1-6, 6-3. 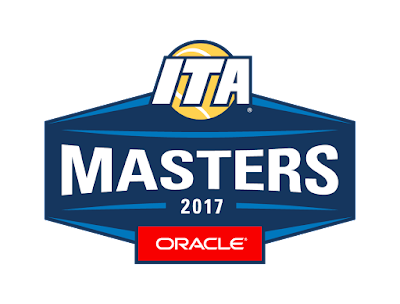 The ITA Oracle Masters has two rounds of singles scheduled today, so I'll be posting those results separately much later this evening. 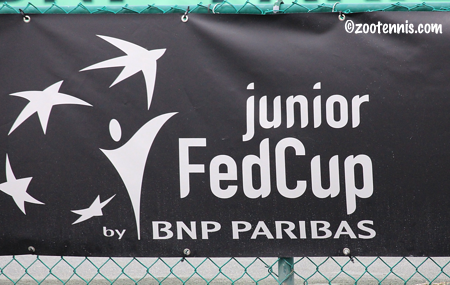 Rain continued at the Junior Fed Cup and Junior Davis Cup competitions in Budapest, with several matches sent indoors, including the deciding doubles rubber of the third-seeded US boys and unseeded Hungary. Hungary won that, with Will Grant and Govind Nanda losing to Domink Buzonics and Peter Makk 4-6, 7-5, 10-8. The US falls to 1-1 and will face No. 8 seed Australia in Friday's round 3. If they beat Australia and Hungary beats Morocco, all three teams will be 2-1 and the tiebreaker protocol will come into play. The US girls finished their second round match on Wednesday and did not take the court today. They will face No. 6 seed Italy, with a win assuring they finish at the top of the round robin group. With this loss of a day's play, I don't see how two teams from each round robin group can advance, as was the original plan, which is new this year. If the semifinals are to be played Saturday and the finals Sunday, the schedule no longer has a day for the quarterfinal round, and playing two ties on Friday or Saturday (or Sunday) seems unwise when there is no precedent for doing so. See the tournament website for scores, but don't go strictly by the dates, as they no longer are neatly divided by days/rounds. The first round of singles is complete at the ITA Oracle Masters in Malibu, with no upsets of note. The results are below. Bobby Knight of College Tennis Today has the UTR numbers for all players posted and he notes that only one player with a higher UTR, Marianna Petrei of Idaho, lost. She fell to Eastern Carolina's Celia Ruiz. Felipe Sarrasague(ELON) def. Luka Sucevic(SJU) 6-1, 6-7(1), 2-0 ret. Two rounds of mixed doubles were completed today. Results and draws can be found, along with links to live scoring and live streaming, at the ITA's tournament page. Former Mississippi All-American Robbye Poole is returning to Ole Miss as the women's assistant coach, replacing associate head coach Jason Ontog, who, according to the release, is heading to the USTA. Poole has been working as a hitting partner for Serena Williams the past two and a half years, but obviously has had some free time the last few months during Williams' pregnancy. The release has comments on Poole from both Williams' coach Patrick Mouratoglou and John Isner, whose collegiate career at Georgia overlapped Poole's at Ole Miss. Rain continued to pose a problem for the Junior Davis Cup and Junior Fed Cup competition in Budapest, but the top-seeded US girls have won their second match, beating Uruguay 3-0 to move into first place in Group A of the round robin competition. With No. 6 seed Italy losing to Belarus 2-1 in their second match, that gives the US the only 2-0 record in the group and they will finish first with a win Thursday over Italy. Today, Caty McNally and Whitney Osuigwe won singles matches, with Amanda Anisimova and McNally partnering for the doubles win. Not all the second round matches are complete, but No. 2 seed Japan and No. 4 seed Ukraine did earn victories to go 2-0. No. 3 seed Russia trails unseeded Canada 1-0. The third-seeded US boys will need to win the doubles point to get their second win, with Will Grant winning at No. 2 singles, but Govind Nanda failing at No. 1 singles. Grant and Nanda will play the doubles decider. For scores and standings, see the tournament webpage. The third annual Oracle Masters begins Thursday in Malibu, with 32-player fields. Invitations were sent to the top players in each conference, and in a new twist, players are seeded from 1-32. No. 1 for the women is defending champion Ena Shibahara of UCLA, with Lauren Proctor of Winthrop the No. 2 seed. The men's top seed is Petros Chrysochos of Wake Forest, with USC's Brandon Holt the No. 2 seed. Mixed doubles is also part of the tournament, with teams made up from players from the same conference, if possible. Shibahara and Holt are the No. 1 seeds. For draws and links to live scoring and live video, see the ITA's tournament page. The semifinals are set for the ITF Grade 2 in Canada, with the girls final four consisting entirely of Americans. Top seed Natasha Subhash will face No. 3 seed Lea Ma, her doubles partner, in the top half, with No. 4 seed Elli Mandlik playing unseeded Addison Guevara in the the bottom half. Guevara, a 16-year-old from Texas, beat No. 2 seed Dalayna Hewitt 4-6, 7-6(6), 6-2. Top seed Trey Hilderbrand will face unseeded Ronan Jachuck in the all-US semfinal, with the other semifinal featuring Canadian wild card Nicaise Muamba and unseeded Vikash Singh of India, who beat No. 3 seed Boris Kozlov in the second round. Kelyn Soong of the Washington Post explores the problem of cheating in junior tennis in this article, with comments from former Florida Gator Spencer Liang, junior Reilly Tran, Brian Boland and Lew Brewer of the USTA and many others. Rain was a problem today in Budapest as the Junior Davis Cup and Junior Fed Cup competitions began, but the United States' teams both managed to post two singles victories to secure their first wins in their round robin groups, with the girls defeating Belarus 2-0 and the boys beating Morocco 2-0. 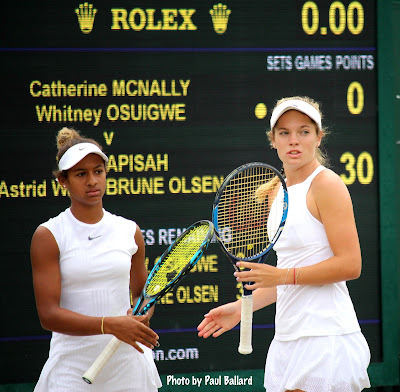 US Open champion Amanda Anisimova and French Open champion Whitney Osuigwe picked up straight-sets wins, with Caty McNally, the third member of the team, not playing with doubles cancelled. With two of this year's junior slam champions the United States is the top seed in the competition, with the other seed in their round robin group A No. 6 Italy. Group B has No. 3 seed Russia and No. 8 seed Thailand, Group C contains No. 4 Ukraine and No. 7 Colombia and Group D's seeds are No. 2 Japan and No. 5 France. Japan has posted a 2-0 win over Morocco, while France is tied at 1 singles match apiece with Argentina. The ITF Junior website spoke with Osuigwe about her training with the US Fed Cup team in this article. The US boys team of Will Grant, Govind Nanda and Tyler Zink is seeded No. 3 and is round robin group C with no. 8 seed Australia. Zink and Grant posted straight-sets wins for the US today. The top seeded boys team is the Czech Republic and they are in Group A with No. 7 Japan. In Group B are No. 4 Croatia and No. 6 Brazil. Group D's seeds are No. 2 Argentina and No. 5 Italy. Russia, the defending champions, are not seeded. This year, teams are not required to win their round robin group to advance. The top two teams in each group then move to the quarterfinals, which did not exist prior to this year. There is live streaming through the ITF Junior website, but I have not been able to find the live scoring that was promised. For teams and scores, see the tournament website. 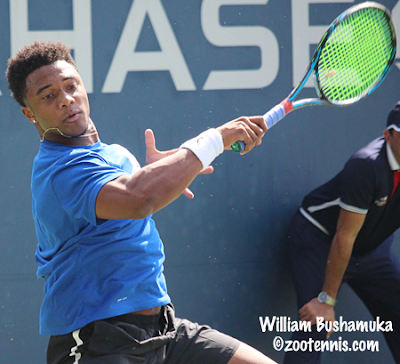 Four USTA Pro Circuit events are underway in the US this week, with a $15,000 Futures tournament in Laguna Niguel California and a $75,000 Challenger in Columbus Ohio for the men, and an $80,000 event in Albuquerque New Mexico and a $25,000 event in Lubbock Texas for the women. In addition, Canada is hosting a $25,000 Futures and Mexico has a $100,000 ITF Women's event, which also have attracted their share of Americans. In Columbus, the first round will spread to its third day on Wednesday, in order to accommodate the three players who competed in the Davis Cup tie between Canada and India last week in Edmonton, which Canada won 3-2. Yuki Bhambri and Ramkumar Ramanathan of India and former North Carolina star Brayden Schnur of Canada will play the last three first round matches on Wednesday. Cary champion Kevin King, who also played Sunday did not get a Wednesday start, and he won his 11th straight match, beating wild card John McNally, an Ohio State freshman, 4-6, 6-3 ,6-3. Wild card JJ Wolf, an Ohio State sophomore and Kalamazoo 18s finalist, earned his first ATP points today, beating qualifier Luke Bambridge 6-4, 6-2 and will play No. 4 seed Denis Kudla in the second round on Wednesday. Defending champion Mikael Torpegaard, an Ohio State senior, lost his first round match today to Canada's Filip Peliwo 7-6(2), 6-4. Ohio State junior Martin Joyce, another wild card recipient, also advanced to the second round. Evan King, Dennis Novikov and Austin Krajicek also earned first round victories. In Laguna Niguel, only three first round singles matches were played today, with qualifier Trevor Johnson(TCU), Jenson Brooksby and Hunter Callahan posting wins. The 16-year-old Brooksby, who reached the quarterfinals last week in Claremont, will move into the ATP rankings next Monday. Qualifier Gianni Ross, wild card Jacob Bullard and Sam Riffice are juniors who will play their first round matches Wednesday. American Collegiate Invitational champion Tom Fawcett, who also received a wild card, plays No. 2 seed Benjamin Lock, the former Florida State star, Wednesday. The first round is complete in Lubbock, with the top three seeds--Great Britain's Harriet Dart, India's Karman Thandi and Vicky Duval--all advancing. In Albuquerque, only one singles first round match was played, with the final round of qualifying the other singles activity on Tuesday's schedule. Advancing to the main draw were Amanda Rodgers, Megan McCray, Sabrina Santamaria and Slovakia's Zuzana Zlochova. McCray will face Wimbledon girls champion Claire Liu in the first round on Wednesday. Viktorija Golubic of Switzerland is the top seed, Sonya Kenin is the No. 2 seed and Kayla Day accepted a wild card and is the No. 3 seed. Free live streaming of the tournament is available at the USTA website. On Saturday, the ATP posted a conversation with 2004 NCAA champion Benjamin Becker of Germany about his decision to retire after 12 years on the ATP Tour. The former Baylor star, whose ATP ranking career high was 35, has returned to Waco to finish his degree and is serving as a volunteer assistant for the men's team. I wrapped up the American Collegiate Invitational at the US Open with this article for the Tennis Recruiting Network. Stanford's Tom Fawcett and Ohio State's Francesca Di Lorenzo won the titles and with those title comes qualifying wild cards into next year's US Open. Last week I provided excerpts from my interviews with all eight women's participants. Below are the conversations I had with the eight men's competitors. On his last-minute inclusion as an alternate: I was in class when I found out and I called my mom and my coach and told them I was going to come here. I went to Africa this summer to play some Futures, and that was fun. There’s a big Challenger in Lexington and I played that. I lost (to JP Smith of Australia), but I had a good match. I was born here in New York, but my dad is originally from Congo. I’m going to play a bunch of ITA tournaments. I’m going to Malibu [the Oracle Masters this weekend], then All Americans in Tulsa, Regionals. Then probably some Challengers, I’d like to play in some Challengers over the fall. I’d say my mental game. I was a little bit crazy in juniors, but I feel like I’ve matured a lot thanks to my coach Cedric [Kaufman]. My team also helped me a lot. I think overall I’ve improved a lot from juniors. On his goals for this season: I’m hoping to be Top 10, Top 5, that’s where I’m trying to aim. To get really far in NCAAs as a team and individually. Hopefully we can do something great this season and I think we can with the team we have this year. On his summer highlight: Close between playing in the first round here and getting my first tour-level wins in Atlanta. Those two are neck and neck, though maybe even the doubles win here (partnering with Christian Harrison to beat Mikhail Youzhny and Mischa Zverev in the first round). That was pretty cool. It’s been fun from beginning to end. On what he’s learned about his game during the summer: I think I’ve gained a little bit of professionalism, mainly off the court stuff is the biggest thing for me. I’m going about that extra stuff a little bit more diligently and learning as I go, making adjustments throughout matches, things like that. On his schedule this fall: I’m taking the fall off, going to play primarily some Challengers and maybe throw some $25Ks in. We’ve got to manage it as we go, but that’s the plan now, play a few Challengers and see where it goes from there. Kenny [Georgia Tech head coach Thorne] has been influential in devising what the next course of action is going to be. On his academic status: I’m a senior 24, 25 hours away from graduation. Pretty close to getting my degree. On the contrast between competing in the ACI and the main draw of the men's singles: It's different for sure, but if you can't enjoy playing at the US Open maybe you shouldn't play at all. It was an incredible experience and a real bummer that I lost out on that. That one hurt a lot more. To be honest this doesn't really mean that much until you get to the finals. There was a lot a money and a lot of points on the [Zverev] match last week. It's every kid's dream to play in the main draw of the US Open and I really cherish the moment and am happy that I got that experience, but it's a tough loss. It lets you know where your level is, but at the same time, losing 6-3 in the fifth set or losing 6-0, 6-0, 6-0 is the same result. But it was positive overall and I have no regrets with how I competed. On the $50,000 prize money earned from that match: It definitely gives me an opportunity to play in 2018. I graduated with a business degree from UVA, so there's massive opportunity cost every day I step out on the tennis court, so I have to understand that and do my best day in and day out, because I could be doing a lot of other things in my life. I know that eventually I will get into the business world. I think right now I'm playing tennis because I've played tennis my whole life and it's always been a dream and I know if I quit now and start working, I'll definitely enjoy that job, but I'll always have in the back of my mind that I should have played. I'm basically getting that out of my system and doing my best and seeing how far that can take me. I'm going to give myself probably to the end of next year, then reassess at the end of 2018. On his fall schedule: Right now I'm trying to figure out where to live, where to train. I'm taking a lot of advice from people who have done it before and try to figure out a good balance. Get a lot of books to continue learning, because it's weird not being in a classroom anymore. There's so much down time on the tour, lying around, wasting a lot of time. On his coaching arrangements: I'm working with my coach back in Charlotte, Bill Belser, and I'm also working with Carlos Benatzky at USTA. On what he'll miss about college tennis: I'll miss everything about college tennis. Playing individual tournaments and college team tournaments isn't remotely close from enjoyment. It helps when you're winning three national championships in four years, but those bus rides, tough matches and celebrations. Thankfully we got to celebrate a lot, so it's pretty good memories and I'm still best friends with all those guys, talk to them everyday, so it's not too far away. On his sophomore year at TCU: My season went well. I won 23 matches in a row at one point, lost one match then lost to Alfredo [Perez] at NCAA individuals. It was a very good season overall individually. As a team it was good; we came up a little bit short to Ohio State in the quarters. On his summer: I won my first Futures title, won a couple of rounds in Challengers, which I hadn't done before, so that was good. I’m definitely progressing, it’s just tough I couldn’t get it done here. I didn’t play badly, but there’s a couple of things I need to keep working on. On the success of former teammate Cam Norrie: He’s definitely helped me a lot. And seeing what he’s done transitioning to the ATP level is definitely a positive for me, that I can possibly do the same thing. We’ve had a good two seasons [as teammates] where we’ve pushed ourselves in practice and we've become close, good friends. Now that he’s left, I would like to, obviously, follow in his footsteps, take the No. 1 spot and do what he did last year, which was basically dominate. It’s easier said than done, but I’d like to replicate what he’s done. On his academic progress after starting in January of 2016: I’m doing communication studies, that’s my major. When you first get to school it’s tough to get in a rhythm, with class and practice, but once you’re a couple of weeks in it, you kind of get into the schedule and it goes pretty well. I’m not doing mechanical engineering, so I think the classes are obviously doable if you put in the time to study. I’m a second semester sophomore; I’ve done some classes to catch up. I'll be a first semester junior in the spring. If I stay all four years, I’ll need an extra semester to finish my degree. On playing regular scoring during the event: I don’t mind going back and forth. I think it’s honestly easier to go from no-ad back to ad. But I don’t really mind either one; I probably prefer playing with ads, just because that's what they do everywhere else. I think it’s good for the college atmosphere to have no-ad, there’s a bit more pressure, more excitement, but I don’t think it really makes a difference. The same with the shot clock and everything. I didn’t really notice it too much. On returning to the National Tennis Center: I feel like I've been here more than anyone else. First time I was here, I was zero years old and I came here (with mother Tracy Austin and father Scott Holt) every single year until, I want to say, eighth grade. Then I played the juniors, but there was a little hiatus in high school. So I'm definitely comfortable here; I love it here and of course I'm happy to play. It was a treat to get the call (to fill a spot as an alternate). On his plans for the fall: I'm going to play the Oracle Masters and I think I'll be all right by then [after a muscle injury worsened at ACI). And I think then a Futures? But I'll have to look at the schedule; I'm not really the guy to ask on that, which isn't a good thing. On his freshman year: It was definitely positive. I had a back injury from the French Open juniors two years ago, which kind of lingered through the year, so I was kind of on and off with my back. Every three weeks my back would kind of go out. I had a stress fracture in my first rib and then I have two disc issues, but I've got them all figured out and they're all better basically; I've been doing some exercises to get back on the right track. The year was kind of tough, but I played well and did well. On his goals for this year: It's tough to say. I've got a lot of goals. I don't really set too many goals, maybe that's something I should start doing. Win the tournament I'm about to play. No ranking goals. I think we have a chance to win the NCAA [team] championship. We've got two new freshmen who are very good I think and we lost two seniors. But I think the replacements will be good and we've all been improving a lot over the summer, really working hard. Our coaching is great and I've seen a huge improvement in everyone and I think we're on an upward trend right now and getting better. On rubbing shoulders with the world's best tennis players at the US Open: It was a really good experience, I really enjoyed being able to play on the same courts as the professionals. Yesterday I was eating lunch and I looked back and Rafa (Nadal) was eating lunch two feet away from me. Today I walk in he's eating lunch again and playing this Spanish board game Parchis that I play all the time with my family. I couldn't believe it. The great Rafa Nadal plays this game, I was really surprised. On his goals for the coming season: Keep improving and playing my game and being good enough that hopefully my teammates will have trust in me that when I step on the court I'll win my match. I would like to be SEC Player of the Year and go farther in the NCAAs (he lost in the round of 16 in May), hopefully win it. But the goal is to improve as much as I can. On his academic path and career after pursuing pro tennis: I'm studying International Studies, especially in the Caribbean. I'm focusing on tennis right now, but I would like to help countries like Cuba; they are not doing so good, so help the people there. My family is from Cuba, but we live now in Miami. On the Gator freshmen competing in the US Open Juniors: I'm always excited by new guys, getting to know them, making friendships that last forever. They're really good guys and really good tennis players at the same time, so that's a bonus. On competing in the ACI and playing the final on the Grandstand: We all love coming to New York City, it's one of the coolest place on earth, so who wouldn't love to be able to invited to play at the US Open on the main courts during the main tournament in New York City? It doesn't get better than that. You feel it, you certainly feel it, On Court 5 you feel it, on Grandstand it's a whole other experience. Huge thanks to the USTA for setting this whole event up and putting us on the Grandstand. We both sincerely appreciate it. On completing his master's degree in business: I just have two classes which will end in December and I'll graduate. It's an MBA with a concentration in finance. That'll be done in December and in January I'll go out on tour. On playing full time next year: I have been putting a really large emphasis on school. It is tough, for a master's degree a lot more is required from you as a student. A lot of times people in these programs are way older than 23. A lot more is expected of them, they've been around the block more than once, so it's tough. So I'm really happy to have my master's and have it be in my pocket and have it as mental security more than anything going on the pro tour. I think being able to be on the tour with a clear head is invaluable. On missing a golden opportunity: I'm upset because there is no flight out of LaGuardia after 2:30 tomorrow [due to Hurricane Irma]. I was actually asked to hit with Kevin [Anderson] tomorrow at 1:30; because he's playing Rafa they were going to use the lefty warmup. I would never think in my life I would tell a US Open finalist I can't warm up, because I have a flight to catch. I wish him all the best, a former Illini, and [Illinois head coach] Brad Dancer is a very close friend of mine. I'm wishing he can make some history tomorrow; to beat Rafa would be really special, that would be great. On playing the final on the Grandstand: I've never played on a court like that before. Although there wasn't too many people out there because of the timing, it was really cool. Hawkeye didn't go well, I used all my Challenges and wasn't successful with any of them. It was cool; I've never had that system before in place and I thought it was interesting to play with it out there. On his academic progress: I'm a senior. I'm studying science, technology and society. We have four or five guys on our team with that major, so it's a popular one. On his plans after graduation: Playing pro tennis, that's the goal. On incoming freshman Axel Geller, a two-time finalist at junior slams this summer: It's incredible. He's doing some great things, playing amazing tennis. We're all excited to have him there and push us to get better. I don't know him too well. I've seen him at this tournament and on his visit to Stanford, but we've gotten close from those two times and I can tell we're going to be pretty good friends. On prospects for Stanford team this season: I'm really excited. We've got a great group of guys, everyone's pretty good and we have really good team chemistry. I think it's going to be a good year for us. Just one week after taking the singles and doubles titles at the US Open Junior Championships, 17-year-old Wu Yibing of China earned his first Challenger title in his first trip to a final, defeating top seed Rendy Lu of Taiwan 7-6(6) retired in the championship match at the $75,000 ATP Challenger in Shanghai. Wu, who will move to around 320 in the ATP rankings with the win, plays his first ATP 250 event week after next in Chengdu and will also receive a wild card into the main draw of the Masters event in Shanghai next month. The ATP spoke with the ITF's top-ranked junior for this article after his title in Shanghai. 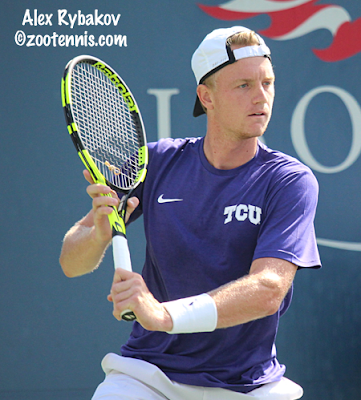 Closer to home, Kevin King won his first Challenger title today in Cary North Carolina, beating former TCU standout Cameron Norrie of Great Britain 6-4, 6-1 in the final of the $50,000+H event. The 26-year-old former Georgia Tech All-American has now won ten straight matches in the past two weeks, having won the title at the $25,000 Futures in Toronto a week ago. King, who had hip surgery that kept him out of competition for most of 2016, will now reach a career-high in the ATP rankings of approximately 253, up from 434 at the start of the month. Marcelo Arevalo(Tulsa) of El Salvador and Miguel Reyes Varela(Texas) of Mexico won their third straight Challenger doubles title, beating Mikelis Libietis(Tennessee) of Latvia and Dennis Novikov(UCLA) 6-7(6), 7-6(1), 10-7 in the final. 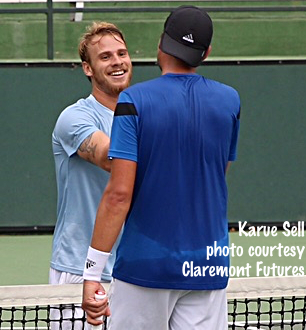 CLAREMONT, Calif., (Sept. 17, 2017) – Former UCLA star Karue Sell won his 13th consecutive match over 10 days in the city of Claremont on Sunday, 7-6 (4), 6-4, 6-3, beating his one-time Bruin teammate Martin Redlicki in three sets in the final of the $15,000 USTA Men’s Pro Circuit Futures Claremont Club Pro Classic played at the Claremont Club. Just like he did warming up with his doubles partner Deiton Baughman before he faced him in a Saturday semifinal, Sell warmed up against his final opponent and good friend Redlicki before the two squared off. Starting with qualifying a week ago Friday, Sell won four qualifying singles matches, five main-draw singles matches and posted four main-draw doubles wins on his way to also winning the doubles crown with Baughman. The Redondo Beach resident Sell did not receive a special exemption so will not play singles this coming week in Laguna Niguel, but will play doubles with Baughman. The following week he will play singles at the Fountain Valley Futures, and doubles with Redlicki. Sell will cash a nice check worth $2,160 and Redlicki will deposit $1,272 for his runner-up appearance, although he can only claim expenses as he is still an amateur. Maybe more importantly for Sell is the 12 valuable ATP ranking points he receives. Before the tournament, Sell had just four total ATP points during his career. The final was tight from the start, with both players holding their strong serves early. “It was a pretty close match, and I knew it would be decided on the big points,” Sell said. It’s quite a start to pro tennis full-time to a player who spent the summer playing Men’s Open events, and last college season as the volunteer assistant at Pepperdine. Another former UCLA star picked up a title Sunday in California, with the Bruins No. 1 Robin Anderson winning her first $25,000 level tournament in Redding. The unseeded 24-year-old defeated No. 6 seed Chanel Simmonds of South Africa 6-1, 6-4 in the final. Former Florida State standout Daneika Borthwick, who is now a volunteer assistant at Wake Forest, won the doubles title. The 24-year-old from Great Britain and Ana Veselinovic of Montenegro beat No. 3 seeds Maria Sanchez and Great Britain's Harriet Dart 6-3, 6-4 in the final. At the $60,000 Las Vegas tournament, No. 7 seed Sesil Karatantcheva beat No. 8 seed Elitsa Kostova in an all-Bulgarian singles final 6-4, 4-6, 7-5. Top seeds An Sophie Mestach of Belgium and Laura Robson of Great Britain won the doubles title, beating No. 3 seeds Sophie Chang and Alexandra Mueller 7-6(7), 7-6(2) in the final. At the ITA's Hall of Fame Grass Court Invitational in Newport Rhode Island, the big prize, a main draw wild card into next year's ATP event, went to TCU freshman Alastair Gray. Gray defeated teammate Alex Rybakov 6-3, 6-3 in the final, with Rybakov earning a qualifying wild card by reaching the final. In the women's event, Florida's Anna Danilina won the top flight, beating North Carolina's Jessie Aney 6-7, 6-1, 10-7. The ITA's release on the final states that Danilina is not eligible for a USTA Pro Circuit wild card that was offered to the winner. Aney will receive a wild card into a $25,000 Pro Circuit qualifying draw. The Audi Napa Valley event, which features round robin play including both Division I college players and USTA juniors, was completed today, with Oklahoma's Alexander Bakshi winning the shootout that decides the USTA Pro Circuit wild card recipient. Bakshi defeated Texas A&M's Valentin Vacherot 10-7 in the final of the super tiebreaker format that makes up the shootout. None of the USTA juniors advanced to the shootout from their round robin groups. Complete results are here.